Since its discovery as a factor which induces hemorrhagic necrosis of tumors in an experimental mouse, Tumor Necrosis Factor (TNF) has paved the way in understanding inflammatory diseases. TNF is a cytokine, a cell signaling protein, whose inhibition has shown tremendous benefits in the treatment of rheumatoid arthritis, Crohn’s disease, spondyloarthritis and psoriasis. Blockage of TNF activity is made possible by monoclonal antibodies such as infliximab, adalimumab, golimumab and certolizumab pegol and a soluble TNF receptor fusion protein, etanercept. Molecular probing, both ex vivo and in vivo has proved to be ideal in the detection of TNF. Dr. Cong-Qiu Chu from the Division of Arthritis and Rheumatic Diseases at Oregon Health & Science University and VA Portland Health Care System conducted a thorough review on the most recent findings in the field of identification of therapeutic target and guidance of therapy via molecular probing of TNF. The work is peer-reviewed and published in the journal Cytokine. The review features an analysis of different research on three techniques employed in vivo probing, in specific radiolabeled anti-TNF antibodies, fluorescent imaging TNF and the utilization of fluorophore-labeled aptamers. In the method of radiolabeled anti-TNF antibodies, the 99mTc labeled-infliximab has been the most successful in vivo detection. 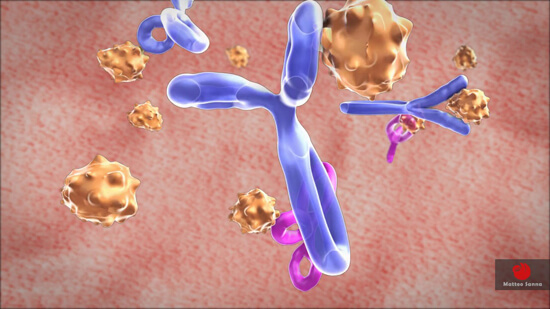 99mTc labeled-infliximab has a higher affinity to TNF, therefore, allows for imaging of the latter antibody. When 99mTc labeled-infliximab intravenously injected, at the baseline of a patient who had spondyloarthropathy. If scintigraphy show a higher accumulation of 99mTc that indicates TNF expression is high, therefore anti-TNF therapy is justified. Testing 99mTc labeled-infliximab also showed benefit in the treatment of patients with active and refractory monoarthritis, active RA, and spondyloarthritis. However, 99mTc labeled-infliximab has not shown much of correlation with TNF expression in Crohn’s disease, therefore such biomarker method suffers from limitation in application and high cost. On the other hand, fluorescent labeling of antibodies has recently been used for TNF visualization, through the use of optoacoustic imaging (OAI). Studies in this field have successfully attempted to image TNF producing cells in patients with Crohn’s disease. Additionally, a single study has attempted to include labeled adalimumab in combination with fluorescent isothicyanate and then probing the TNF producing cells, in vivo, where the patients with high membrane-bound TNF cells showed a higher predictive value in response to adalimumab. The author believes fluorescent labeling offers the added advantages of being safer, non-invasive and more cost effective. Research by Dr. Chu’s team indicated that it is possible to even use short single-stranded RNA or DNA called aptamers that can be selected to have high affinity binding to TNF and then label them with a fluorophore for optical imaging. Aptamers have special characteristics which are unique and maybe superior to antibodies. They are relatively smaller and therefore can penetrate tissues much better than antibodies. The review by Dr. Cong-Qiu Chu has proficiently demonstrated the need by clinicians for detection of TNF before the administration of TNFi. Research on radiolabeled anti-TNF antibodies, fluorescent imaging TNF and the utilization of fluorophore-labeled aptamers as accurate methods of in vivo detection of TNF has been met with success. Therefore, not only do these results pave the way for individualized therapy of inflammatory diseases, but also provide a cost-effective solution. The preclinical and clinical research in the field described in the review provides a strong pedestal for future developments towards molecular imaging of TNF-mediated diseases. Dr. Cong-Qiu Chu, MD, PhD is a rheumatologist and physician scientist. 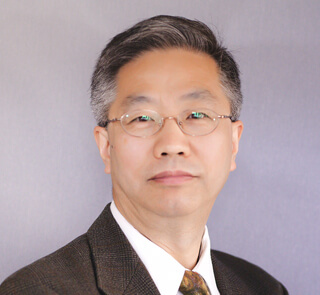 Dr. Chu received his medical degree from Norman Bethune University of Medical Science, China and PhD from University of London and Kennedy Institute of Rheumatology. Dr. Chu has a career long interested in pathogenesis of rheumatoid arthritis. His early work discovered overexpression of tumor necrosis factor (TNF) in rheumatoid joint helped later development of highly efficacious TNF targeted therapy for rheumatoid arthritis. His current research is focused on developing novel targeted therapeutics for rheumatoid arthritis and other inflammatory diseases. Chu, C. Q. (2018). Molecular probing of TNF: From identification of therapeutic target to guidance of therapy in inflammatory diseases. Cytokine, 101, 64-69.